Subject: Test Release 4.9.5 of JMRI/DecoderPro is available for download. Chuck Catania updated the C/MRI menu and improved the C/MRI serial monitor. 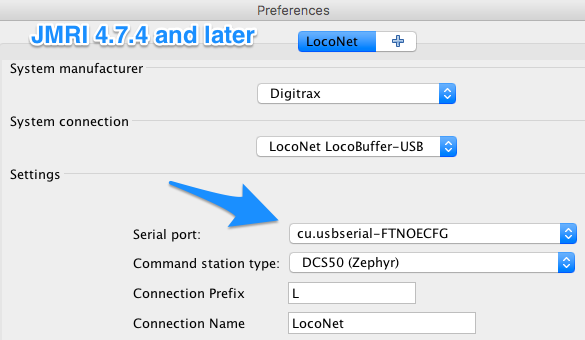 Initial creation of a JMRI connection to a Uhlenbrock command station now saves the default serial port "baud" rate in a format which can be properly read by the Uhlenbrock connection. The <functionlabel> and <soundlabel> element names in decoder definitions can now be internationalized by using <text> elements instead of raw text. Randall Wood improved the speed of rebuilding the decoder index. Dave Heap improved the procedure for updating decoder definitions in a user's existing roster. Popup menu for Edge Connector now shows linked layout and edge connector. Turnout control circles are now drawn for turnout controlled turntable rays. LayoutEditorTools now lazy loaded to speed up LayoutEditor panel loading. LayoutEditorAux now lazy loaded to speed up LayoutEditor panel loading. ColorUtil.colorToString used instead of .nameToString (since it didn’t parse hex color string). All track editors lazy load to speed up LayoutEditor panel loading. All track editors are now one per-layout instead of one per track (saves memory!). Tracks now draw at layer 3 (so Labels, train icons, etc. can be drawn behind or in front of tracks). Zoom now goes to x8 max (x7 & x8 menu choices added). Slips now correctly display slip state on load (based on the assigned turnout states). Unconnected layout track end points now highlight while dragging to connect a track segment. Default window size is now the screen size. Signal masts and sensors can now be added to Edge Connectors. Note: The position and rotation will need adjusting. You can now right click on a track segment and split it into two (JMRI adds a new anchor point). You can now right click on an anchor point and merge the track segments either side (both must be in the same block). 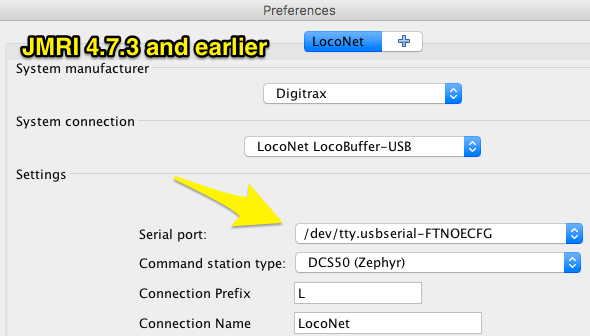 New Tools->check menu for unconnected tracks, unblocked tracks and non-contiguous blocks. The "Highlight selected block" has moved into the tool palette, next to the block dropdown list. Buffer stops now display an end bar. Edge connectors now display as an "X". Right click on an anchor point, buffer stop or edge connector and you can now change it into any of the other two. Re-organisation of the main layout editor options menu to make things easier to find for new users. More use of drop down combo-boxes so you can choose from a list instead of having to type or paste. The content of a Logix Conditional Browser window can be saved to a text file. Egbert Broerse has done a lot of work to add hints and validity checks when entering the hardware address to create a new Turnout, Light or Sensor. Dave Sand added support for cross-panel Entry/Exit when Edge Connectors are use to join Layout Editor panels. Use Auto Generate Entry-Exit Pairs to create pairs. Add Pair cannot be used to create a pair that spans the Edge Connector boundary. When setting routes using the sensors, a route can only go to the first sensor in the next panel. Several components were updated to current versions. Dave Heap and Ronald Kuhn arranged for translation of locomotive function and sound labels. Hervé Blorec provided an updated French translation of the help pages. The --profile command line argument to start a JMRI application with a specific profile now takes the profile ID or the path to the profile directory as an argument (#3968). Excessive work and potential StackOverflow errors opening a profile have been fixed (#4005). The capitalization of many method and property names in JMRI has been changed to be internally consistent within JMRI and to adhere to standard Java naming principles (#4034).